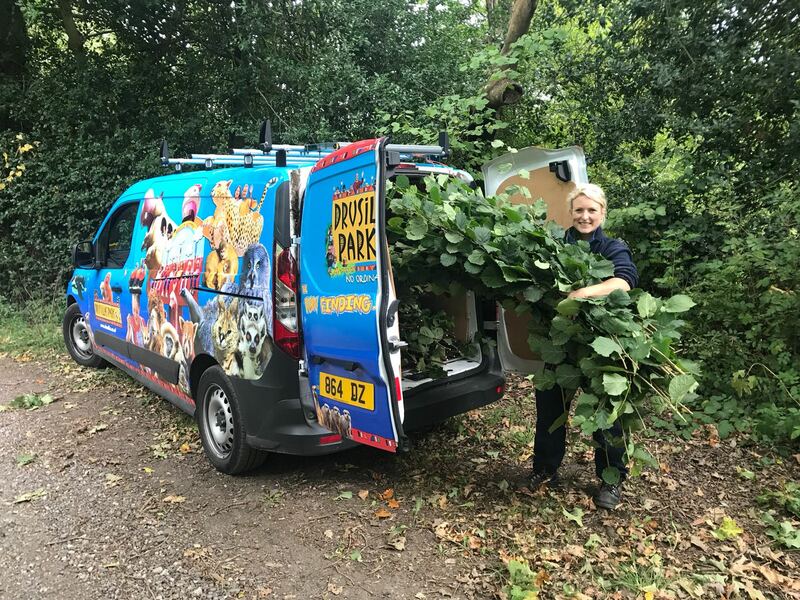 Zoo Keepers at Drusillas Park are busy preparing for the winter, harvesting fresh hazel leaves to freeze and store for the animals winter feed. Keepers Mark Kenward and Sophie Leadbitter were joined by four Bedes Animal Management students (Mia Worsdall aged 17, Zoe Young aged 17, Emily Hickson aged 17 and Mitchell Pledge aged 18) who helped with the task of striping down the browse to make it more compact and storage efficient. The sloths, macaques, colobus monkeys, capybaras and beavers are some of the animals that will enjoy the browse at Drusillas this winter.